Popo: Pleased to spend the week with her grandson in a small cottage by the sea. 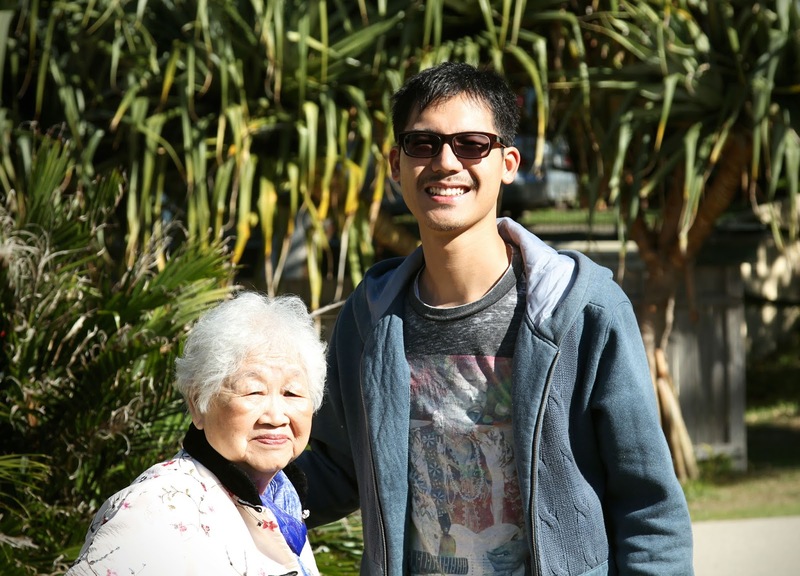 Byron: Proud to be a tall, strong grandson to his 85 year old grandmother. Here he assists Popo to slowly walk around our home, just as he did all week. The week my Malaysian grandparents visited was one filled with delicious, traditional Malaysian dinners, early nights and stories about a culture that did not exist in my life until I met Byron. Thank goodness we shared that first encounter. You're absolutely right. I was completely unprepared for how different my life would be but wouldn't change it for all the world.